Painting in the traditional style involves essentially the same techniques as calligraphy and is done with a brush dipped in black or colored ink; oils are not used. As with calligraphy, the most popular materials on which paintings are made are paper and silk. The finished work is then mounted on scrolls, which can be hung or rolled up. Traditional painting also is done in albums and on walls, lacquerwork, and other media. 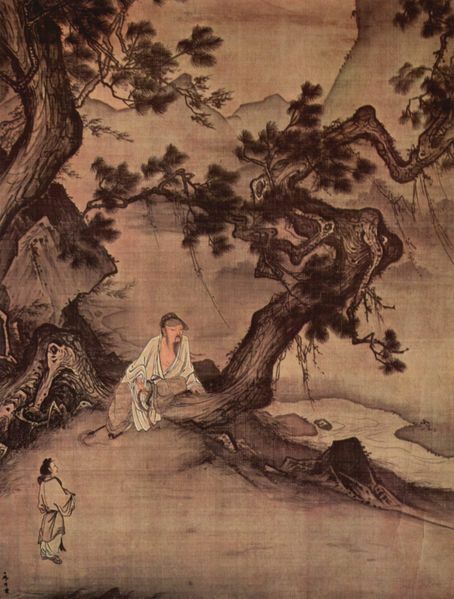 The earliest examples of Chinese painting that we have come from the 2nd century BCE. (Note that it is likely that this does not mean that there were no paintings produced before this period, but rather that there are simply no surviving pieces). Beginning in the Tang Dynasty (618-907 CE), most paintings were landscapes, often shanshui (? ?, "mountain water") paintings. In these landscapes, monochromatic and sparse (a style that is collectively called shuimohua), the purpose was not to reproduce exactly the appearance of nature (realism) but rather to grasp an emotion or atmosphere so as to catch the "rhythm" of nature. 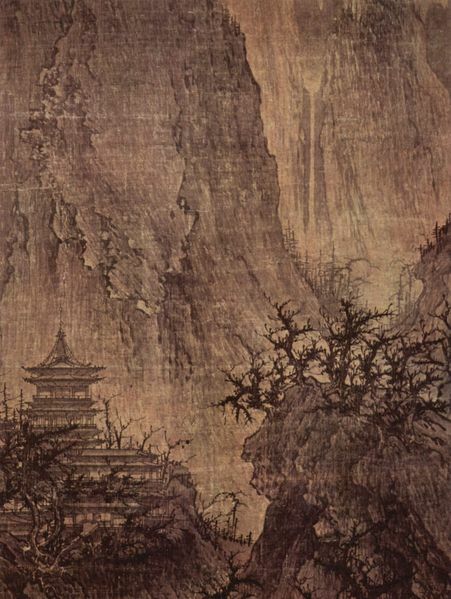 In the Song Dynasty period (960-1279), landscapes of more subtle expression appeared; immeasurable distances were conveyed through the use of blurred outlines, mountain contours disappearing into the mist, and impressionistic treatment of natural phenomena. 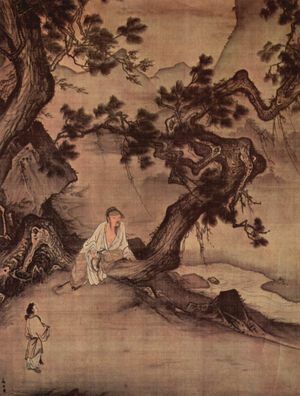 Emphasis was placed on the spiritual qualities of the painting and on the ability of the artist to reveal the inner harmony of man and nature, as perceived according to Taoist and Buddhist concepts. Beginning in the 13th century, the tradition of painting simple subjects�a branch with fruit, a few flowers, or one or two horses�developed. Narrative painting, with a wider color range and a much busier composition than Song paintings, was immensely popular during the Ming period (1368-1644). The first books illustrated with colored woodcuts appeared around this time; as colo -printing techniques were perfected, illustrated manuals on the art of painting began to be published. Jieziyuan Huazhuan ("Manual of the Mustard Seed Garden"), a five-volume work first published in 1679, has been in use as a technical textbook for artists and students ever since. Beginning with the New Culture Movement, Chinese artists started to adopt Western techniques. It also was during this time that oil painting was introduced to China. In the early years of the People's Republic of China, artists were encouraged to employ socialist realism. Some Soviet Union socialist realism was imported without modification, and painters were assigned subjects and expected to mass-produce paintings. This regimen was considerably relaxed in 1953, and after the Hundred Flowers Campaign of 1956-57, traditional Chinese painting experienced a significant revival. Along with these developments in professional art circles, there was a proliferation of peasant art depicting everyday life in the rural areas on wall murals and in open-air painting exhibitions. During the Cultural Revolution, art schools were closed, and publication of art journals and major art exhibitions ceased. Nevertheless, amateur art continued to flourish throughout this period. Following the Cultural Revolution, art schools and professional organizations were reinstated. 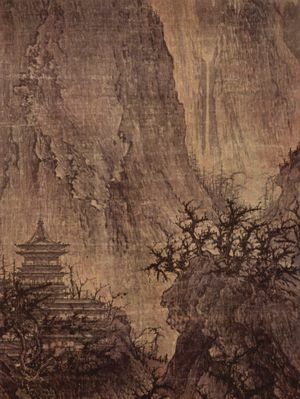 Exchanges were set up with groups of foreign artists, and Chinese artists began to experiment with new subjects and techniques. - Freehand - Mo-shui loosely termed watercolour or brush painting. The chinese character mo means ink and shui means water. This style is also referred to as "xie yi" or freehand style.